2K Games has confirmed that their long lost 1960s XCOM third-person shooter has been given a huge overhaul, and has been re-branded as The Bureau: XCOM Declassified. The game was originally panned when announced to gamers, with many decrying the fact that it looked nothing like the older XCOM strategy games. Many vocal fans were upset that the shooter genre was needlessly being attached to older IPs, and 2K heeded their thoughts and delivered XCOM: Enemy Unknown, one of our choices for Game of the Year in 2012. The XCOM shooter disappeared quietly into the back of everyone’s mind, but the rumors of it still bubbling around in the halls of 2K Marin that lingered on have proven to be true. The Bureau: XCOM Declassified keeps the franchise name, but sticks it on the end to avoid confusion with the main series. Many changes have been made to the game in the meantime. The story has also been rewritten to tell the origin story of XCOM: Enemy Unknown, and where the alien-fighting government organization got its roots. Even though I typically loathe origin stories, this is one I can see working well. XCOM: Enemy Unknown had fantastic gameplay, but came up weak in the story division. A little more emotional connection to this universe might help me see the first game in a different light. Plus, 2K Marin proved their storytelling prowess with making the seemingly pointless BioShock 2 an engaging game. 2K has proven that a strategy XCOM game can exist in the world, and tensions seemed to have simmered. I think many gamers will be willing to give this one a second chance and screenshots and trailers prove that this is one to keep an eye on. 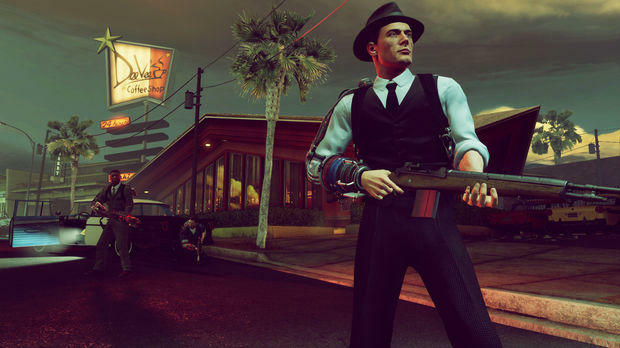 The Bureau: XCOM Declassified will be release for the Xbox 360, PlayStation 3, and PC on August 20th.